​Peter is a wildlife biologist with an interest in large mammal species; particularly modelling species habitat relationships to inform land use planning. Currently, he is a biologist with the Ontario Ministry of Natural Resources and Forestry in Kenora, Ontario where he does a range of wildlife related activities including supporting harvest planning for three Wildlife Management Units, planning studies for and managing species at risk and providing biological expertise into land use planning. Peter’s prior employment was as a biologist with an environmental consulting company located in Winnipeg, Manitoba. Notable accomplishments included providing support for completed environmental assessment work at two environmental hearings, producing a poster presentation for the 22nd Annual TWS Conference and preparing Regional Cumulative Effects Assessments for moose and coastal caribou populations. Peter is a TWS parent society member since 2014 and an Ontario Chapter member since 2016. ​Neil has been employed by the Ontario Ministry of Natural Resources since 1986 and his current position is as the Wildlife Assessment Program Leader, Northwest Biodiversity & Monitoring Unit in Thunder Bay. He obtained a BSc from the University of Guelph in wildlife biology & management (1984) and worked as a District/Area Biologist in Chapleau District from 1986 to 1996 before moving to Thunder Bay. He has been a member of TWS from 1989-1994, and 2000 - present. He has been a member of the Canadian Section and Ontario Chapter of TWS since their establishment. His primary work activities are in broad-scale wildlife monitoring for terrestrial vertebrates in the area of commercial forestry in Ontario and wolverine management in the province. ​Danielle has spent the last decade studying species-at-risk in Ontario’s agroecosystems, resolving critical ecological knowledge gaps to better inform recovery planning and implementation. Specifically, for her PhD, Danielle developed an applied research program on Bobolink and Eastern Meadowlark to better inform Ontario’s Grassland Stewardship Initiative. Danielle is also a founder and manager of the Ontario Badger Project, which uses interdisciplinary research approaches, including extensive public outreach, to understand the habitat characteristics and resources needs of this elusive carnivore. Danielle is currently working as a Terrestrial Ecosystems Science Specialist with the Ministry of Natural Resources and Forestry in Peterborough. ​Morgan currently works as a Wildlife Research Technician with the Ontario Ministry of Natural Resources and Forestry (OMNRF). She has been a part of the Wildlife Society family since she was an undergraduate at Trent University. During that time she filled the roles of Treasurer, Secretary, President and Adviser for the Student Chapter on campus. She is a passionate advocate for wildlife conservation and supporting young professionals in the field through experience and education. 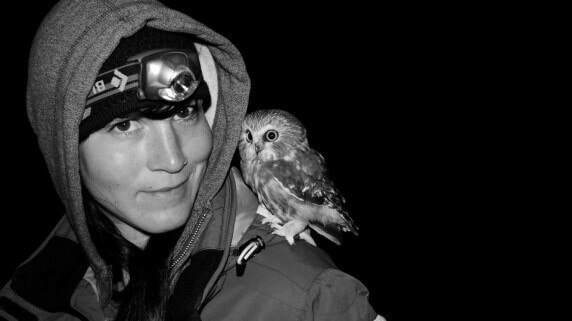 Over the past five years she has worked with Trent University professors and OMNRF research scientists studying a plethora of species such as meadowlarks, black bears, northern and southern flying squirrels, fishers, and skunks. Many of these projects were conducted to answer questions that advised provincial management decisions. She is an enthusiastic addition to the Ontario Chapter, please do not hesitate to connect with her regarding the Chapter or wildlife work in general! ​Emilie is a wildlife biologist and has always been interested in cross-disciplinary work and her focus is on plant-animal interactions at an ecosystem level. 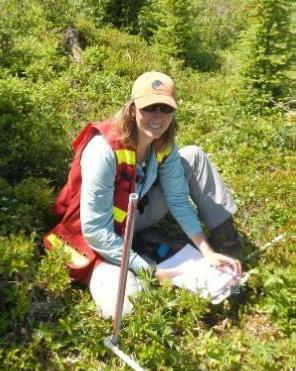 Currently, she is a terrestrial ecosystem science specialist with the Northeast Region of the Ministry of Natural Resources and Forestry in South Porcupine Ontario. Emilie completed her HBSc. at the University of Guelph in Biological Sciences with a focus on Wildlife Biology. She gained her MSc. at the University of Sydney in Australia on Wildlife Health and Population Management. She is currently completing her PhD at Memorial University in Newfoundland on the impacts of moose on forest regeneration across the island of Newfoundland. Prior to starting her PhD Emilie worked with Newfoundland’s provincial Wildlife Division as a research biologist on topics ranging from moose health, to rare lichen abundance and diversity. While working in NL she also worked and contributed to the research and game management programs for both small mammals and fur bearers (snowshoe hare and the NL marten) and big game species programs including moose, caribou and black bears. 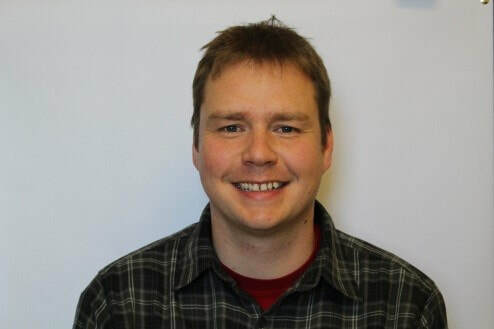 ​Matt is a PhD Candidate in the School of Environment, Resources and Sustainability at the University of Waterloo studying waterfowl demography in the western boreal forest. Matt completed his BSc at the University of Northern British Columbia in 2013 and was active in their student chapter during his undergrad. Matt received his MSc from the University of Western Ontario in 2015, where he studied habitat selection and survival of wood ducks. Matt has been an active member of the Canadian Section as a member of the executive board, Student Rep 2013 and Secretary-Treasurer 2014-2016, and as a committee member for the website, newsletter, education, and membership and recruitment committees. In addition to completing his PhD, Matt is also currently working on his Associate Wildlife Biologist certification through TWS. Matt is interested in promoting the value and importance of a professional society/network of wildlife biologists in Ontario through helping to reenergize the Ontario Chapter. Matt enjoys spending time fishing, hunting, and hiking with family. If you are interested, you can follow Matt on twitter @mattdyson89 to keep up with his research.